The Texas League Champion Tulsa Drillers have confirmed the dates and home start times for their 2019 Texas League schedule. In their fifth season as the Double-A affiliate of the Los Angeles Dodgers, the Drillers will begin defense of their Texas League title on Thursday, April 4 when they host the Arkansas Travelers at ONEOK Field. The 2019 home opener will be the first of a seven-game homestand that will start the season. Tulsa's 2019 schedule will feature 140 games, including 70 home games, divided into two halves. The first half of the Texas League season will conclude on June 17. In addition to the 70 home games, ONEOK Field and the Drillers will be hosting the 2019 Texas League All-Star Game. The game will take place on Tuesday, June 25 and will feature some of the Texas League's top prospects and soon-to-be Major Leaguers. Walker Buehler, Nolan Arenado, Mike Trout, J.D. Martinez and Dallas Keuchel have all participated in the Texas League All-Star Game. The 70-game home slate will also be highlighted by 19 scheduled Fireworks Games at ONEOK Field. All Friday home games will once again feature post-game fireworks, while fireworks will also follow six selected Saturday contests. In addition, Sunday, May 26 will be the third consecutive Fireworks Night to celebrate Memorial Day weekend. On Thursday, July 4, there will also be a special post-game fireworks show for an Independence Day celebration. The Texas League will have a new team this season located in Amarillo, Texas. Amarillo will be affiliated with the San Diego Padres and will be replacing the San Antonio Missions who will be moving to Triple-A. The home schedule will also include five weekday, matinee games. Those games are scheduled for April 8 (11:05 AM), April 10 (11:05 AM), May 6 (12:05 PM), June 5 (12:05 PM) and June 19 (11:05 AM). Standard starting times for most games at ONEOK Field will be 7:05 PM. Sunday home games through June 23 will start at 1:05 PM, with the one exception being the game on Sunday, May 26 which will have a 7:05 PM first pitch for the Memorial Day Weekend Fireworks Show. The remaining Sunday home games will feature 7:05 PM start times until the regular season home finale on Sunday, August 25 which will start at 1:05 PM. College baseball fans will want to mark their calendars for Friday, May 10 as ONEOK Field will again host the annual Bedlam game between the Oklahoma State Cowboys and Oklahoma Sooners. Bedlam Ticket Plans are currently available for purchase through the Drillers Ticket Office. In addition to the Bedlam Plan, there are several different ticket packages now available for the 2019 season ranging from Full Season Plans to 7-game plans and many in between. 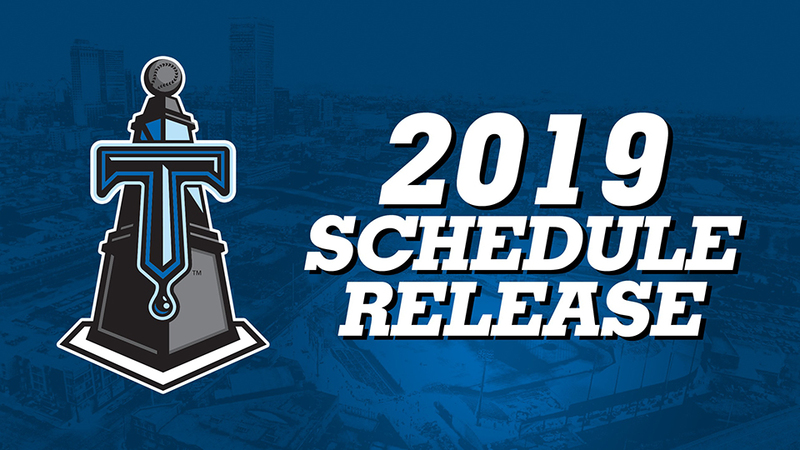 To view the entire 2019 Tulsa Drillers schedule, click HERE.